this is wayyyyy off topic now, hope TB didnt take his viagra yet! Hey maybe you can find something here. It's a flyshop that also sells lingerie. Love the tutorial. Will definitely help alot of guys out. Will add this about silk. I had a little lesson on silk from an importer. Wow, it opened my eyes a bit actually. Later heard same thing from Alec Jackson, so lead me into another direction. Found out that most of the silks out there are made from the odds and ends of silk. Small fragments spliced together (so small you can't notice except while you're tying). What it does is fray like you see while tying. But a good quality silk floss (which is more expensive) is made from one continuous strand of silk. So you don't get the splitting. Plus, for fishing flies, you get a color that is hard to explain besides "perfect". Before the injury, I was buying AJ silk threads. Never had the problem with fraying using it (and I have hands like Dfix). It's great stuff, but not like buying Uni Floss. LOL. You do have a warmer look and feel with silk. I was actually using in on my personal fishing flies with alot of success. But the price to buy (even wholesale) is WELL above what you'll pay for any of the other flosses out there. So isn't cost effective unless you're tying for yourself. LOL. I actually use mine on a specialized bobbin for floss. Flares in front and back. Then use the rotary to load it on. Works really good, and lays out flat. Plus, makes it easy for me when I add dubbing into the floss (Glasso style). When I'm tying display though, I normally tie the floss in without a bobbin. I do it by hand (but still use the rotary lol). That way it's on nice and flat. Here's my two cents for today. Will, don't bother- you'll only fall asleep. Anybody just starting out should learn with rayon floss sold in the craft store or craft section of the store you patronize. It's cheap enough, colorfast, nice looking if applied right, shiny, and it gets the job done, not to mention if you screw up you're not out dollars instead of cents to replace your screw-up. To comment on an earlier posting, I've never seen braided floss in skeins- only stranded, which requires one take the time to separate the strands and wind them onto some kind of bobbin for future use; doesn't matter if it's a dowel and you spiral wind it on or an old empty thread spool. It might be a PIA to do, but it's the cheapest of the alternatives today. You can buy wooden spools or sewing machine bobbins in the same store you buy the floss. Polyester floss is easy enough to work with - even for the novice who follows a few simple rules of application. It only takes a few inches of material to create the desired effect each time- cheap enough to learn with and easy enough to manage. Stranded floss sold in tackle shops is not long enough to be worth the beginner’s while for the price. Today, there is resurgence in interest regarding tying classics, full dress or innovative stuff. Way before the Stone Age (almost a half-century ago), when I began tying, there wasn't as much 'stuff' available in as many places as there is today and not as many people were prone to using alternative materials; Pearsall floss from England was the accepted norm unless Chinese silk was available- this, from what was known as Nationalist China (Taiwan, to those who don't know), and one had to have a ready outlet for it or chase it down. Chinese silk wasn't as tough to find THEN as it is NOW! It is almost impossible to find Chinese embroidery silk today, at least around here. Further, the fine Japanese silk we see today wasn't even on the radar. To connect with Jerry’s comments, silk floss used earlier on was continuous filament. Your Grandmother’s pearls were strung on silk thread. Almost all floss work was done with gloves, hand-held mandrels and spindles, agate burnishing tools, and patience, with an eye toward perfection. To date, I still use my old-fashioned methods. Here in pictures alone, we are fortunate to have three premier practitioners of the floss game: SH69, Troutbum and OSD. I’m sure we are graced with the presence of others as well, but you can see some of the fine work these fellows produce in their avatar snippets. Dave, that was a great comment that eluded me as well. I wholeheartedly agree, anyone just learning to tie floss bodies should use the cheaper rayon type floss. In fact, the majority of my tying is done with Uni Floss. But it's all in the handling. I'm just about out of my fine silk. VERY expensive to obtain. So I only use it on my own stuff and presentation type stuff (and in my current condition, I don't use much at all until I can afford to restock). Thanks for an excellent tutorial and discussion. Have you had a chance to work with Uni Glo floss? Uni Single Strand, yes, Glo, no- I hack the single strand stuff to death like everything else if i don't wear gloves. I've never used the Uni-Glo, but the Uni-Stretch is easy to work with and it has some great colors too. One advantage is that you can use a bobbin so you don't have to worry about it fraying on you. Great tutorial man! I was wondering what were you using for the other materials. Would you mind posting the recipe to that fly? Hey, I see there are some new floss products out this year. Just got my new Hareline catalog, and they have some new Flosses by UNI out. Some Neon, and a few other misc. May have to buy some (may not be new, but new to me since I only look what my distributors sell). yeah, I've got a floss-only bobbin that I use for the strecth floss. Nice material. The "glo" products interest me. I used baitfish pattern made with glo yarn Thursday on the Skyway flats and it took enough hits in ten minutes to destroy it. The water was clear but badly discolored. Even my fluorescent orange patterns didn't attract as much interest. I'm going to keep working with the phosphorescent materials and see what kind of response I get. That's assuming that we finally quit having a hurricane every weekend. I've got one more door to put the panels on and I'm ready to ride it out again, as ready as my frayed nerves can be. I'm starting to recongize an old face in the mirror that I haven't seen staring back at me since '69. I put the plywood back up today, this is really getting old. Good luck, Stev hopefully this will be the last one. The Yom Kippuricane took the lanai roof off. I can hear it banging, bending, and beating itself to pieces. If that's the worst we get, we've been lucky. I'd rather be fishing than hunkered down and bunkered in. Well, it took off some shingles and we have water damage in the living room. I'm going to have to replace some drywall and some flooring. I doubt if it's more than my deductable, so I don't think I'd even file a claim. Could have been worse. I like your name for the storm. For myself the gloves are a must also, I go to a good Photo supply store and buy a pack of gloves that they use for film, they are cheap and easy to get on and off. Its not only good for rough hands but it also keeps any oils from your hand getting on the floss. Sorrry about your damage. We were quite lucky here. Amazingly, some of the paint on the front of the house was stipped off the concrete blocks. But daylight and dry skies showed very little damage compared to what others suffered. The nickname for the storm seemed timely. We missed Sat AM services because we were buttoning up. But we were able to attend Friday night for Kol Nidre and Sat night for Nela, the end of Yom Kippur. Since the holiday ends at sunset, technically the storm didn't make landfall during Yom Kippur, but it was close enough and the knowledge that it was bearing down on us made for a very introspective Day of Atonement. Great info on floss and it's application by everyone. I don't tie flies that require floss for the most part. 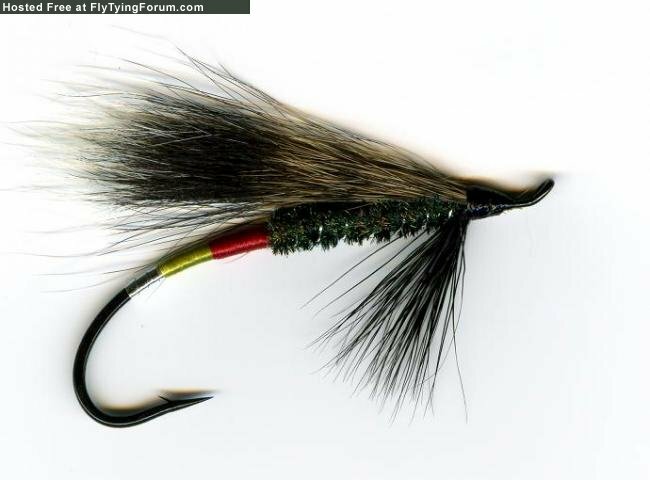 A few classic wet flies and a pc of floss here and there on some trout patterns. But I just learned more about floss from reading this thread than I had in 25 years of tying. I had thought about using some silk floss for a few wet fly patterns that I tie. But after reading this, I think I'll just stick to the regular single or 4 strand rayon floss. Another way I found through trial and error to get a smooth body without the help of a smooth object. While wrapping the floss slowly, take the floss and slowly wiggle it left and right till the bumps are gone or small. Also, if you wrap the floss this way and then unwrap it and wrap it again you will get even better results. It takes quite a bit of work but it works very well with enough patience. So far two strands of Danvile Plus works for me. Great tips TB and BC! The UNI-Floss neon colors are a different material than their regular floss. The filaments are thicker. I haven't been able to get it to lay flat to my liking for some reason. don't get me wrong, for fishing flies, this stuff is great. I just try to get all my floss to lay flat as possible. I use the regular UNI-Floss for most of my tying and have no problems with it. I also use other rayon flosses when I can find them and new colors. The braided floss is easy to use. I just cut whatever length I need and separate one to three strands and put the rest in an envelope for future use. Very little waste. The UNI-Stretch is a good product for fishing flies but calling it a floss in our terms is maybe pushing it a bit. It really doesn't compare to rayon or silk floss but it's not far off I guess. I like it on long bodied streamers or for fast buildup of bodies. There is another product that is close to it called Wooly Nylon. I like it even better and I think it is stronger than the UNI-Stretch. It is cheaper too and you can get it in big spools at fabric stores. The UNI GloFloss doesn't impress me too much. It is a very fine single strand white floss.